Karen Meyer, senior lecturer and undergraduate program director in the Department of Computer Science and Engineering, received the 2018 Presidential Award for Outstanding Non-Tenure (NTE) Faculty: Service in recognition of her invaluable leadership in her department and at Wright State for more than two decades. Meyer has a passion for curriculum and serves at the department, college and university levels. She is a recent past chair of the University Curriculum Committee, current chair of the Computer Science and Engineering College Curriculum Committee and member of the Department Undergraduate Studies Curriculum Committee. 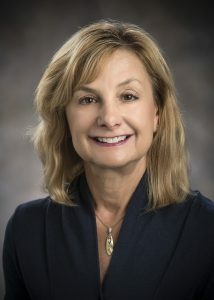 As the computer science and engineering undergraduate program director, she led the effort to develop a new Bachelor of Science in Information Technology and Cyber Security. This program was approved by the Ohio Department of Higher Education and started accepting students last fall. In addition, she manages three other programs, two minors, a certificate and the 4 plus 1 programs. She advises students and provides support and direction for the university advisors. Meyer has designed and successfully taught many new courses in the College of Engineering and Computer Science, including introductory courses in computer science, database and networking. She is a past recipient of the University Outstanding Lecturer Award. She works with area community colleges to promote and facilitate articulation agreements and is a member of the Sinclair IT advisory board. Her other service committee affiliations include steering, scholarship, petition and NTE mentoring. A tireless advocate for women in computing, Meyer established and is the faculty advisor for the College Women in Computing Club. The group attends a biannual conference for Ohio College Women in Computing and provides mentoring and peer support for women in computer science and engineering.